Sleuths of Bureau of Investigation of Economic Offences (BIEO) on Saturday arrested a forest official here on graft charge. The arrested official has been identified as forest ranger Mukul Ali Hazarika. The BIEO registered a case (no. 25/17) against Hazarika for his alleged involvement in issuing duplicate stock depot challan and transit permit for illegal operation of Doigrong river sand mahal in Golaghat district. 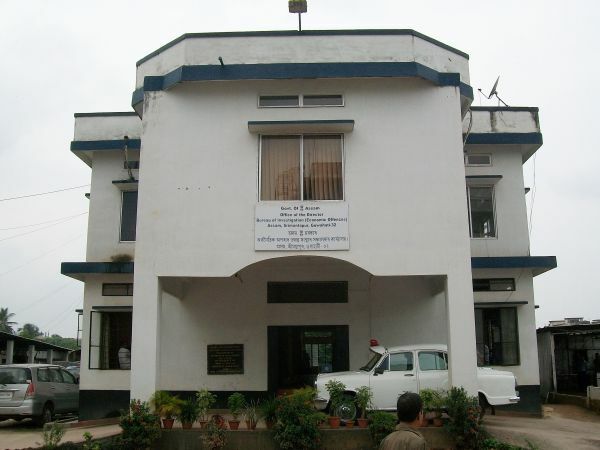 The arrested official was produced before the court of chief judicial magistrate (CJM) here after that was taken to Guwahati on transit remand for production before the court of chief judicial magistrate of Kamrup (metro). On December 5 in 2017, Kunja Hazarika, deputy chief conservator of forest (BIEO), lodged an FIR based on the written allegation submitted by one Pratim Dowerah before the additional director general of police (ADGP) of vigilance and anti-corruption alleging that Rajiv Das, divisional forest officer (DFO) of Golaghat and Praneswar Das, ranger of forest along with one contractor Abdul Hasmat were issuing duplicate stock depot challan and transit permit for illegal operation of Doigrong river sand mahal. Dowerah also alleged that Abdul Milu and Umesh Chandra Dutta, forester-I of Bokial forest beat office along with other associates manipulated the challan books to embezzle government royalty for personal gain. He alleged that the officials used false transit challan for transportation of forest produce. “Hazarika was the then forest beat officer of Bokial forest beat office. He was responsible for not collecting the used up transit challan books and triplicate pink colour challans from sand mahaldars and depot holders. He also accepted monthly and yearly returns submitted by the sand mahaldars as correct without proper verification and examination,” Shyaml Kumar Bania, inspector of BIEO, told reporters here. “We have arrested him under sections 120 (B)/ 420/468/471/406 and 409 of Indian Penal Code read with section 41 of the Assam Forest Regulation Act. This is the first arrest made in this case and the other accused are still absconding,” Bania said.